Let’s count brick walls. They are everywhere. We encounter them at work and at home. We find them in our personal and business relationships. Brick walls seem to be a part of our lives. But do they need to be? 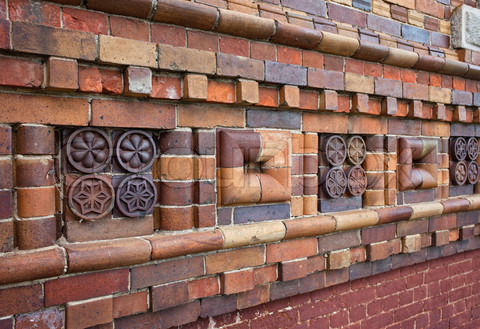 We tend to be great masons and build some very elaborate and impregnable brick walls. The brick walls to which I refer are the limitations that we impose upon ourselves. Sometimes we believe that these limitations are imposed by others but if we really examine them closely, they are more often than not, self-imposed. It is critical for us as entrepreneurs to avoid allowing thoughts of lack or limitation to creep into our psyches. Let’s look at some of the things we speak to ourselves and say to others. Anytime a sentence contains the words “I can’t,” “I don’t” or “I won’t” there’s a strong possibility that limitations are in play. Certainly there are some limitations that are rational and necessary – I’m not talking about those. Thoughts of lack and limitation that prevent us from achieving our greatest potential and success are what we need to train ourselves to eliminate. I can recall several times over the course of my career where a rookie entered the commercial real estate business and completed a series of amazing transactions. Everyone looked at each other and said, “How did he do it?” Well, I know how. This rookie didn’t know what he didn’t know. Make sense? In other words, he didn’t know to place limitations on himself that many veterans of the industry had imposed upon themselves. As a result, he made cold calls on clients that others thought to be untouchable or intractable. And guess what? He got deals done. Why do we limit ourselves in the first place? Often it is the result of fear or a lack of knowledge. Analyze the following statement. “I can’t pursue that business opportunity because I don’t have the money to do so.” This statement contains both the “I can’t” and “I don’t” negative affirmations which will probably result in this person not pursuing the business opportunity. Most likely the underlying reason for the statement is that this person either has a fear about the business opportunity – perhaps it’s a fear of failure – or he/she simply doesn’t know how to find the money needed. Regardless, the opportunity won’t be pursued because this person has built a brick wall around it. So, what’s the truth? We have a choice to either create reality or face reality. If we choose to create our reality, we can do so by removing all thoughts of lack and limitation. We tap into our creative energy and identify the resources that we need to succeed. We pursue that business opportunity because we find a way to raise the money that is needed. In several of the companies with which I’m involved, we regularly complete apartment developments and acquisitions utilizing very complex financial structures. We’ve rescued many a deal from the scrap heap because we not only have the knowledge to figure out how to make them work, but we also have no fear of failure. Do we fail? Sure we do. But our failures are simply steps toward our ultimate end goal. And we manage our risk so that none of our failures are fatal. We can go through a life full of brick walls that are of our own making, or we can create our own reality by taking the simple yet powerful step of eliminating thoughts of lack and limitation. Whenever these thoughts start to become a part of our mindset, we recognize them; we release them, and we replace them with the truth of unlimited possibilities. This entry was posted in Entrepreneurship and tagged brick walls, Entrepreneurial Spirit, Entrepreneurs, Entrepreneurship, fear, knowledge, lack, limitation, mindset by anentrepreneurswords. Bookmark the permalink.